John is Director of Marketing Sciences at SDR Consulting, where his responsibilities include statistical design and analysis, proposal development, and client relationships. In addition, John is a faculty member in the Marketing Department at the University of Georgia's Terry School where he teaches in the Masters in Marketing Research program, as well as in the Ph.D. and undergraduate programs. He has received the MMR Teacher of the Year award in years 2004 - 2007. John's specific areas of expertise include pricing, product optimization, new product development, market segmentation, and customer/employee satisfaction modeling. His methodological experience in multivariate analysis spans over 20 years. John's research has been presented at professional meetings both nationally and internationally, and published in a variety of academic and practitioner outlets including The Journal of Business & Economic Statistics, The Journal of Professional Pricing, and Marketing Research. John regularly teaches executive seminars on experimental design, conjoint, and discrete choice for marketing research applications. In addition, he has served as an ad hoc reviewer and referee for Marketing Research, The Journal of Business and Economic Statistics, and the Decision Sciences Institute national meetings. 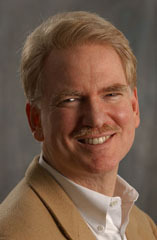 He has served on the conference committees of AMA's Advanced Research Techniques Forum and Sawtooth Software's conference. Previously, John was on the faculty at the Goizueta Business School, Emory University. While at Emory he received the MBA Distinguished Educator Award, and was mentioned in Business Week's Guide to the Best Business Schools, 2nd Edition. John received his Ph.D. from the University of Georgia in Management Science (Quantitative Business Analysis). He also acquired an MS in Statistics and was awarded a BS in Chemistry with honors. Both are from the University of Miami.